Another five developers have also bought sites in the park, which has been built with wide access roads, drainage, water supplies and sewage services, electricity connections, and laid internet fiber, as well as security systems, a gate house and other amenities, at a cost of Sh830m. The phase has opened to an immediate sale to Chigwell Holdings Ltd, the developers of the Phenom Estate on Langata Road and Sidai Village in Athi River. The company has bought 47acres in Tilisi that it will develop with middle-income homes, including townhouses and villas. 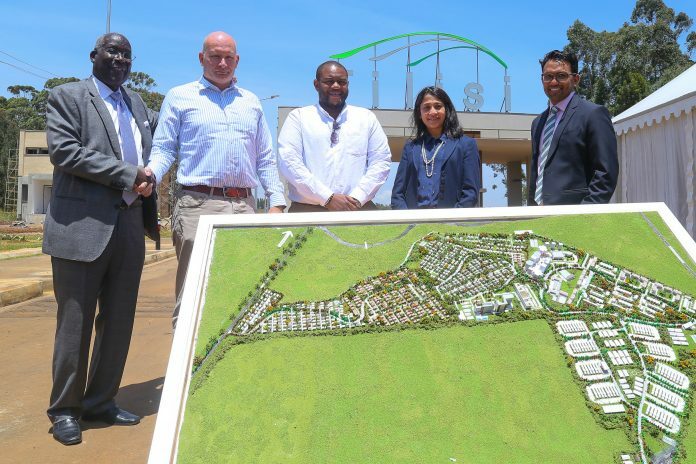 The 400-acre Tilisi City, which commenced construction in 2017, is one of five mega-cities in development on the outskirts of Kenya’s main cities and part of a rising class of real estate across Africa. There are now more than ten master-planned cities underway across the continent, including Vision City in Rwanda, Jigna in Nigeria, Waterfall City in South Africa, Roma Park in Zambia, Nakigalala in Uganda, Appolonia in Ghana,Moka Smart City in Mauritius, King City in Ghana, and Uniciti Smart City in Mauritius among others. Tilisi is a 400-acre mixed-use urban development, distinctly zoned into residential, commercial and logistics precincts. Set just 30 km from Nairobi’s CBD, at the intersection of Limuru Road and Waiyaki Way, the development offers outstanding access and infrastructure. The development is owned and managed by a consortium of long-standing and experienced Nairobi-based developers. The master-planned suburb has been inspired by the vision of achieving a managed development in Kenya with world-class infrastructure.